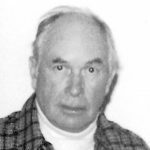 The following abbreviated obituary appeared in the Baltimore Sun newspaper on February 7, 2012. The Owens Yacht Co. was a prominent builder of wooden yachts, and made the conversion to fiberglass at the same time many other builders did, in the mid-1950s. John B. “Jack” Owens, who had been a principal in the family-owned Owens Yacht Co., the legendary Annapolis boat builder, and later established a real estate firm, died in February 2012 of heart failure at his Naples, Fla., home. He was 96. Mr. Owens was born in Detroit, where his father was a vice president of Westinghouse Electric Corp. and his mother was a homemaker. After his wife’s death in 1918, the elder Mr. Owens moved his children to Spa Creek in Eastport, Annapolis, so relatives could help him raise his daughter and four sons. He established a custom boat-building business in 1925 on Spa Creek that built about 20 boats a year, and after his death in 1933, the business passed to three of his sons: John B. Owens, Charles Owens Jr. and Norman Owens. John B. Owens graduated from Annapolis High School in 1933 and earned a pre-law degree from St. John’s College four years later. In 1936, he and his brothers purchased 8 acres on Bear Creek in Dundalk, where they built a state-of-the-art industrial plant. They adapted the mass-production methods used by the auto industry to boat building. Mr. Owens was in charge of the company’s finances and purchasing while Charles was in charge of advertising and sales and Norman designed the boats. During its first year in Dundalk, 50 employees built 40 single-design cabin cruisers, and in 1940, 275 workers constructed 150 boats. Their first major new product was a 32-foot Owens Cruiser that gained the attention of the public and press at the 1937 New York Boat Show. With the outbreak of World War II, the company shifted production from pleasure craft to landing craft for the Army when it received a contract to build 2,500 Landing Craft Vehicle Personnel, which Mr. Owens supervised. After the war, Mr. Owens and his brothers returned to producing the classic 40-foot Owens Cutter, one of the sleekest and fastest sailboats on the Chesapeake Bay and East Coast waters. They switched from building wooden boats to fiberglass vessels in 1957 and developed a line of Owens Flagship V8 marine engines. They later expanded to facilities in York, Pa., and a plant in Indianapolis, where they built 800 boats per month, with another 500 constructed in Dundalk. In 1961, the company was sold to Brunswick Corp., with Mr. Owens staying on as president of Brunswick’s Owens Boat Division. 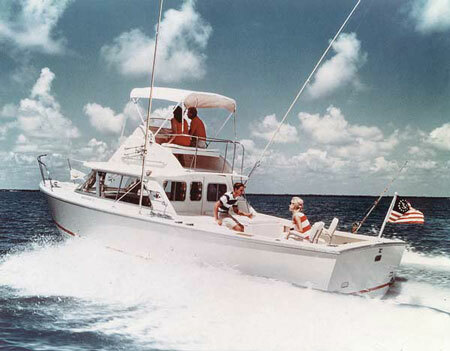 In 1964, Mr. Owens left Brunswick and joined his two brothers in a new business venture, Trident Corp., a family owned real estate company that managed properties remaining from the sale of Owens Yacht Co.
An expert and competitive yachtsman, Mr. Owens, who was a member of the Gibson Island Club, won many racing trophies through the years. He also wrote two books: Cruising Fun For the Family and Cruising Guide to the Chesapeake Bay. Mr. Owens, a longtime resident of Hollins Avenue in North Baltimore, who had a second home on Gibson Island, retired in 1978 and moved to a 400-acre pecan farm in Point Clear, Ala. In 2002, he and his brother Norman purchased the Nomad, a rundown 31-foot Owens Cruiser. They donated the boat to the Chesapeake Bay Maritime Museum for eventual restoration, which they also endowed. Read the full obituary here. 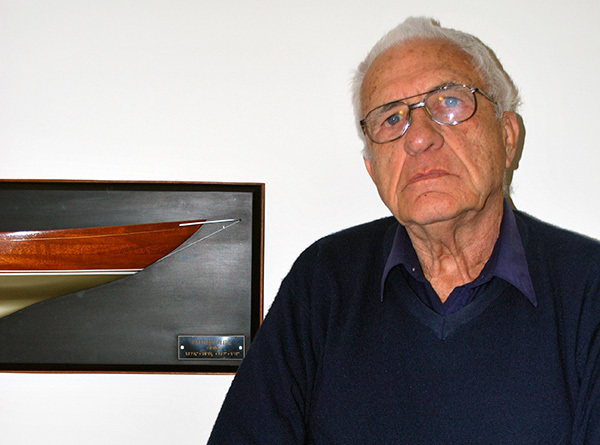 About the Author: Dan Spurr is Professional BoatBuilder‘s editor-at-large. About Wood to Glass: In Professional BoatBuilder No. 135, the article “Wood to Glass” previews the making of a virtual exhibit of boats, designers, and builders significant during the years 1940–70, when wood as the preferred hull and deck material gave way to fiberglass. Readers are asked to contribute stories and photos to the virtual exhibit, which eventually will become a physical exhibit traveling between our partner institutions: Mystic Seaport, Mariners Museum, and the MIT Museum.